BeepXtra - What is Beepxtra? 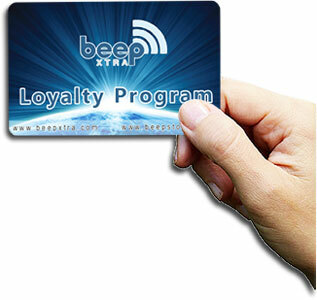 Beep Xtra is a revolutionary LOYALTY PROGRAM that focuses on building stronger customer relationships with stores existing clientele as well as giving incentives to these customers to buy more. Beep Xtra is at the forefront of building an interconnected family of stores locally, regionally and internationally, whereby these stores benefit from each other and gain greater exposure. If used correctly stores will increase their clientele as the Beep family grows and has the opportunity to receive an income from an additional revenue stream. Customers to these stores will enjoy, discounts (Cashbacks), special offers that can be redeemed at any Beep loyalty store around the world. Extra incentives / rewards can be generated by becoming a Beep Xtra Distributor. What are the benefits of a Beep Store?